Also known as nutating disc meters or wobble plate meters, these flowmeters are accurate and reliable. When water enters the flowmeter, it causes the nutating disc to rotate, calculating the rate of flow. Using the known water volume needed to push the disc for one rotation, a sensor counts the disc rotations, translating them into the rate of flow. 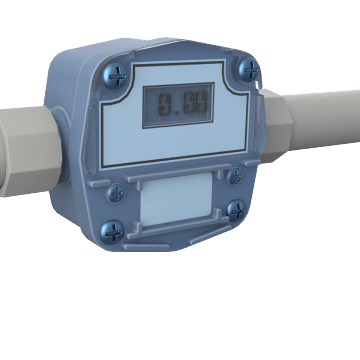 Commonly used in residential water systems, these flowmeters can also be used with agricultural and industrial materials such as fertilizers and pesticides.